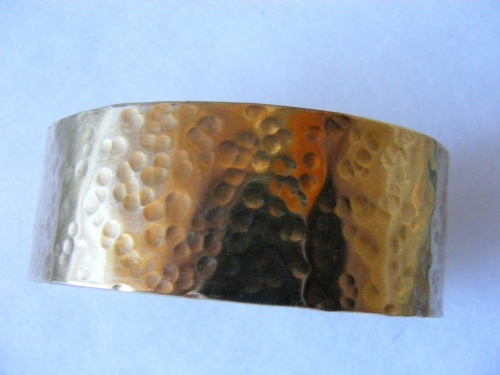 This pretty hammered bronze cuff is a nice size to wear as it measures 1" wide and feels very comfortable on. The hammered marks make it really shine when you move it as it captures the light. Comfortable to wear, fits a wrist from 7" to 8" in size. I put a coating of wax on it to delay tarnishing.